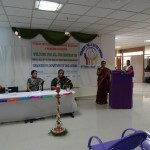 OBG Dept of VINS & RC have organized one day seminar on women’s health; Strategies and newer trends in management. Unfolding of the theme done by Mrs.Menaga.P followed by session I. SESSION I– Strategies and newer trends in obstetrics presented by Dr. Aparna Nair Asst.prof, VIMS & RC. SESSION II– Strategies and newer trends in gynecology presented by Dr.Teena Bannihatti Asst.prof VIMS & RC. 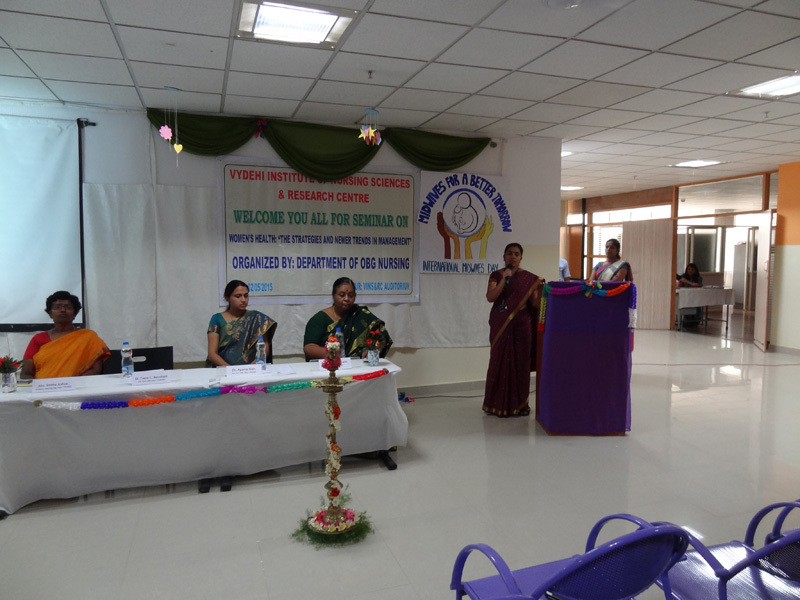 Staff nurses from Vydehi hospital, B.Sc III yr, B.Sc IV yr, PC B.Sc I yr. M.Sc Nursing I yr & Faculties are participated in the programme. Programme winded up with certificate distribution to all participants at 1PM followed by Lunch.